This is Part 14 of our New York Food Adventures! Check out the rest here! Visiting the “Top of the Rock” at Rockefeller Center was of course on our NYC to-do list. 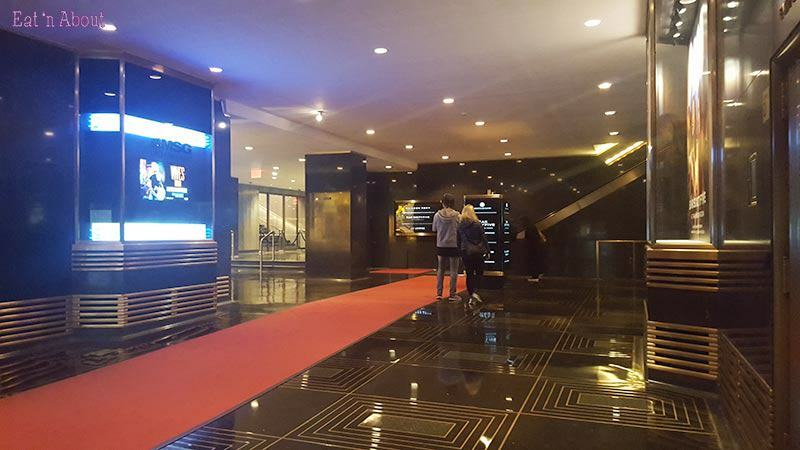 Originally we were going to get one of those CityPass things which would include passes to “Top of the Rock”, which is the uppermost observation deck of the Rockefeller Center where you can get a great view of Manhattan. However, being ever the deal-hunter I am, I found out that you can actually go to Bar SixtyFive in the same building instead, for a similar view. 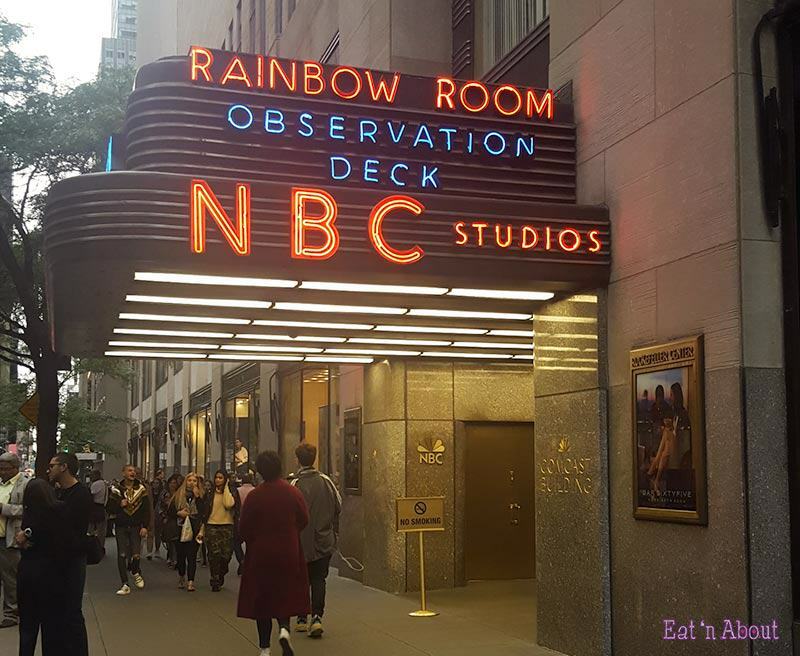 Bar SixtyFive is the lounge/bar of Rockefeller’s Rainbow Room restaurant. It is on level 65 (hence its name), which is only 2 floors below “Top of the Rock” (level 67). There is a terrace around the stand-only lounge that you can go out to for viewing the city also! Only caveat is each person has to spend a minimum of $20. That is easily doable though as the cheapest cocktail there is $20! What this meant for us is that for a similar price to a single ticket to “Top of the Rock”, you get a view AND a drink! There’s $150-$375 drinks if that’s more your style! 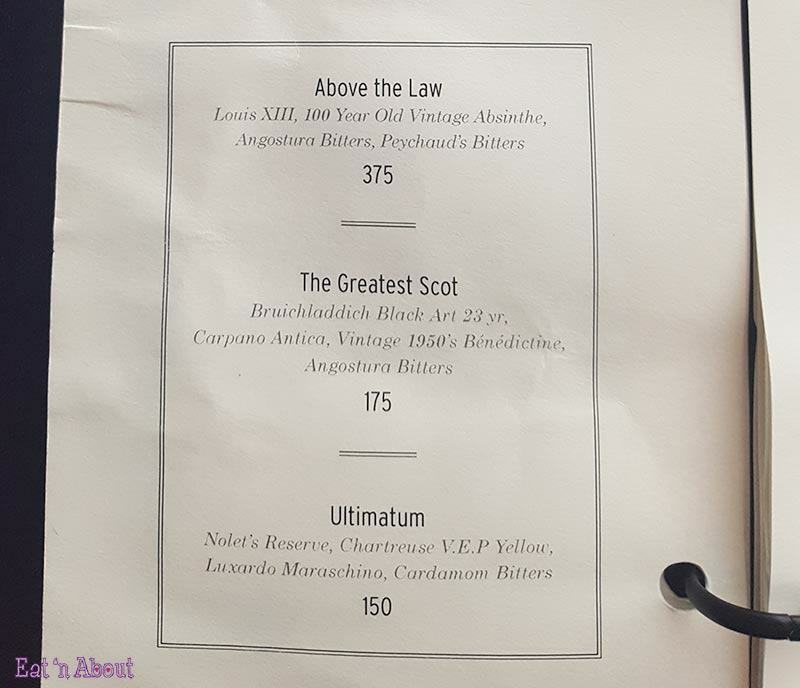 On a side note, if you’re feeling particularly expensive, they also have cocktails for the price of $150 upwards to $375! We decided to actually make reservations instead for inside in the lounge so we get to sit down and have a small bite to eat before we went to “The Book of Mormons” that night. It was also close to our anniversary so we thought that would be our splurge too! You could also make reservations for the terrace but then your minimum charge per person becomes $65. 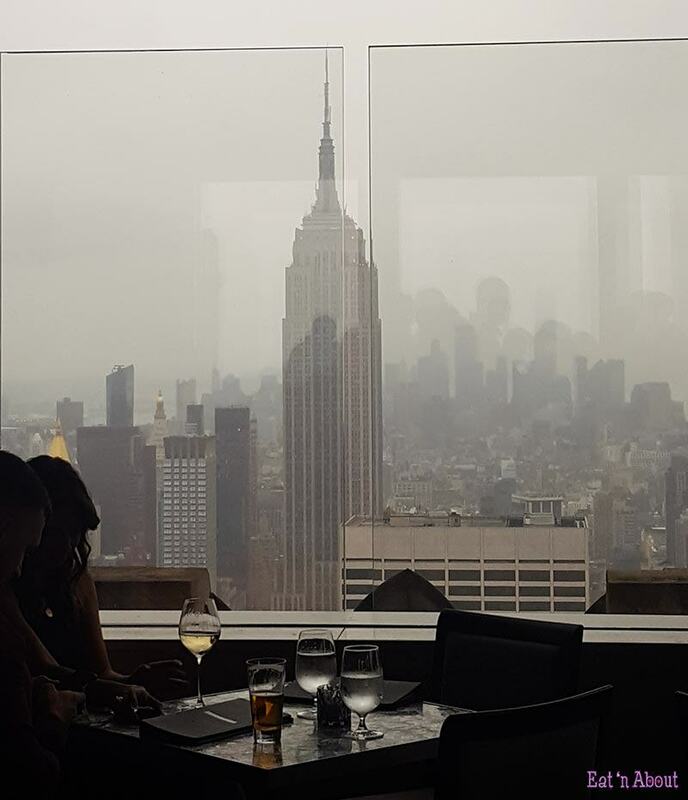 Unfortunately for us though, this day in New York was a bit grey, misty and drizzy. A few minutes into sitting down, as we were on our way to the terrace, we were stopped and weren’t allowed to head out for safety reasons. It wasn’t like there was no or low railing outside…in fact there were tall glass panels, but safety is safety and rules are rules I guess. So I had to settle with taking pictures from inside instead. It did make me wonder though…what about the people that made reservations for the terrace and are already sitting there? Do they remove the minimum charge then? It was quite grey so not the best day for a view after all. Anways drinks! AngryRussian always gets a beer so no different this time. I think it was some IPA. 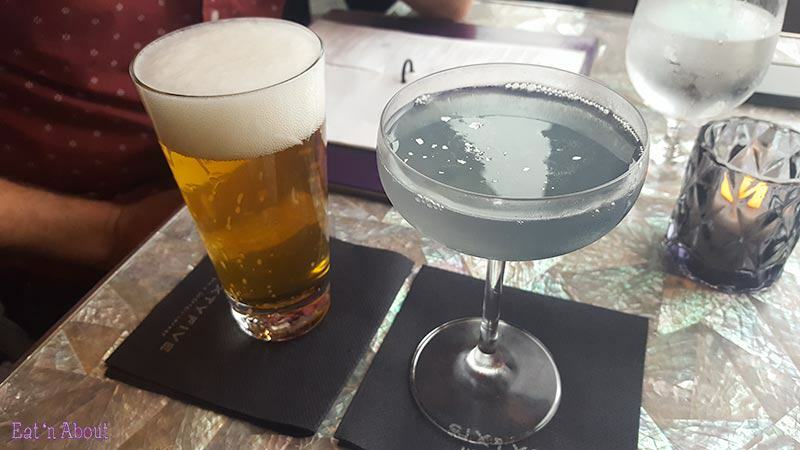 As for me, I got the The Silver Slipper ($20 USD) – Brooklyn Gin, Crème de Violette, Carpano Bianco, Lemon. Well to be honest, I wasn’t too impressed with how the drink looked…it’s supposed to be purple but it looked as grey as the day was. The silver flecks were a nice touch though and they for sure didn’t skimp on the booze! My god this was a delicious charcuterie board, full of goodies you don’t usually find in Vancouver. And they for sure weren’t stingy on the portion! My favourite bar-none was the Smoked Lamb Leg. It was just SO good. I’ve been looking for smoked lamb leg in Vancouver ever since but so far have not been successful. This was quite a lot of food for the both of us and we thought it was a great deal considering where we were. Um…would we mind? Hell no! 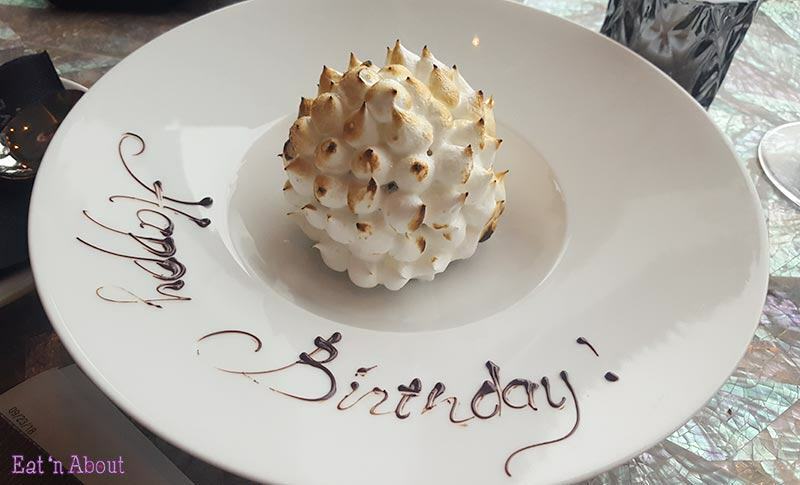 A few minutes later a different server brings us a Baked Alaska which was lit up at the table. It was quite bright outside still though so we couldn’t really see the flame. Funny thing was…they wrote the wrong congrats message on it! We didn’t mention it though as it was nice enough for them to do this for us. And it’ll taste the same PLUS make an amusing story. The dessert was made very well and it was pretty too! The booze didn’t exactly burn off so the bottom was quite boozy also. It was a good end to our meal and start to the rest of our evening. We both really enjoyed our small meal at Bar SixtyFive and wouldn’t hesitate to do it all over again, hopefully on a nicer day. 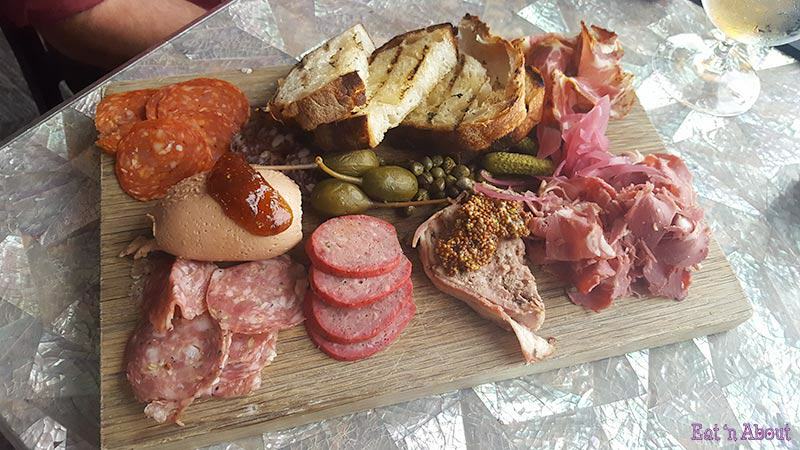 I still dream of their charcuterie board and will definitely get it again if we do come back! Previous PostCoquitlam Craft Beer Fest GIVEAWAY! !